The auction house Profiles in History held a Star Wars auction on Wednesday. Some of the items listed where Luke Skywalker's Lightsaber from the first two films, Darth Vader's Helmet, and an R2D2 unit which was compiled by a british man from parts used throughout the original trilogy. 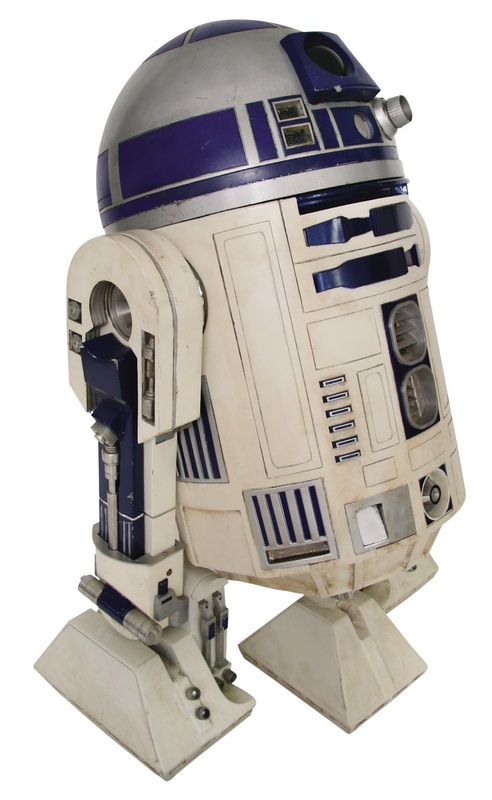 The construction of the R2D2 took seven years for him to build. The Darth Vader helmet managed to sell for $96,000. A hefty sum. Not to be out done by the dark side though, the lightsaber was purchased for a whopping $450,000. The little R2 that could though was purchased by an anonymous bidder for $2.76 million dollars. Also noteable, Bill Paxton's helmet from Aliens went for $51,000. The highest estimate for the R2 was 2 million dollars, which was far exceeded. The legs were from the empire strikes back, while the body was from the phantom menace, and the opening hatch came from attack of the clones. It was a labor of love for sure, and we at geeky lists are happy that it paid off him. The auction listing can be found here.